Ekonol® aromatic polyester fillers are a key component in extending the life of parts & components made from PTFE compounds. The exceptional properties of Ekonol PTFE fillers provide maximum wear resistance, dimensional stability & corrosion resistance for molded or extruded parts in demanding services. The highly crystalline Ekonol polymer yields unparalleled thermal stability along with good creep resistance & excellent load-bearing capacity. These features make Ekonol polyester PTFE fillers the ideal filler for PTFE compounds to increase service life of bearings, seals, rotors & related parts. Whereas glass fillers can be abrasive, Ekonol fillers’ round particle shape will not wear soft metal surfaces. Additionally, Ekonol/PTFE blends resist self-wear better than other PTFE compositions, with good lubricity on molded parts. Saint-Gobain varies particle size distribution & apparent density to deliver two grades of Ekonol polyester PTFE fillers. Saint-Gobain also can work with you to the select the proper grade of Ekonol PTFE filler to meet your specific application. 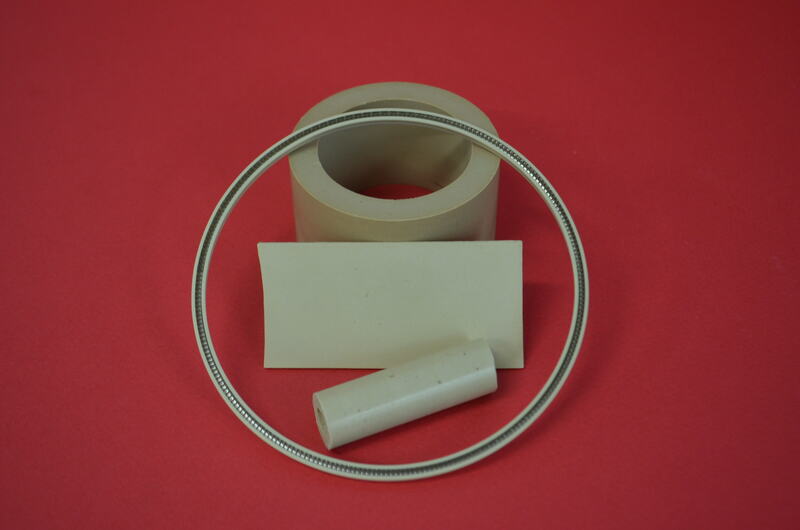 T101 Ekonol® polyester PTFE filler is a tan-colored powder with a highly-crystalline structure for use in bearing applications with load levels up to 25%, making it ideal for bearings & other large moving parts. M102A Ekonol® polyester PTFE filler is a light tan/whitish powder designed for seal applications where creep is an issue. Ekonol T101 aromatic polyester filler is a tan powder additive that, when combined with PTFE, produces a composite material with excellent temperature and wear resistance for a wide range of mating surfaces in demanding services. This filler extends the life of bearings and other large moving parts that may contain silica or alumina. The highly crystalline structure of the Ekonol T101 polymer was created to deliver maximum dimensional, chemical & thermal stability. In addition, the non-abrasive character of Ekonol T101 polyester enhances the frictional performance to prevent galling of softer mating surfaces better than other PTFE fillers. Ekonol M102A aromatic polyester filler is a light tan/white powder additive that, when combined with PTFE, produces composite materials with excellent temperature and wear resistance for a wide range of mating surfaces in demanding services. Saint-Gobain M102A is a polyester powder comprised of smaller particle sizes that are ideal for thinner products such as seals. When added to PTFE, Ekonol M102A filler imparts maximum dimensional, chemical & thermal stability. In addition, the non-abrasive character of Ekonol M102A filler enhances the frictional performance to prevent galling of softer mating surfaces better than other PTFE filler.